Westminster women are invited to participate in Bible conversations, retreats and numerous other gatherings throughout the year. On Wednesday mornings September through March, women of the church gather for Bible Study. Coffee and conversation is shared from 9-9:30 am, with Bible study from 9:30-10:30. Childcare is provided during this time. Moms Group meets right after Bible Study on Wednesday mornings, at 10:30. Moms are invited to Bible study, as well, and childcare is provided during both. At Mom’s Group, Marie Kruskop leads moms through a time of discussion and support. Beyond Sunday Connections is a quarterly gathering of women at the Women’s Club of Minneapolis. During these evenings together, women share a cocktail hour and dinner, followed by a speaker. Speakers are usually women connected to Westminster who then share their faith stories, and provide question for table discussion. This group is open to all women. The Women’s Retreat meets the last weekend of April. Women leave from Westminster and travel by coach bus to Clearwater Forest, where they spend Friday evening to Sunday afternoon together. A retreat leader will guide the weekend. Registration begins in the spring. All women are welcome. For more than 30 years, the Faith Nixon Fund has sponsored the Faith Nixon Symposium, presenting issues of crucial interest to women, children, the church, and the community. 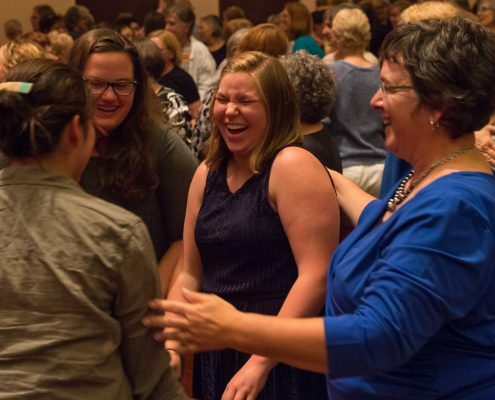 The Fund supports ongoing women’s ministries within the church.